Customer sends the complaint unit at his own expense. TECHBASE Group Sp. z o.o. sends the device at his own expense. 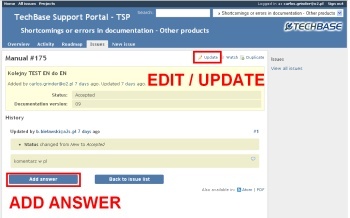 The customer will be kept informed by e-mail notification about changes status, Progress, and the responses and questions of technicians in hiss issue. 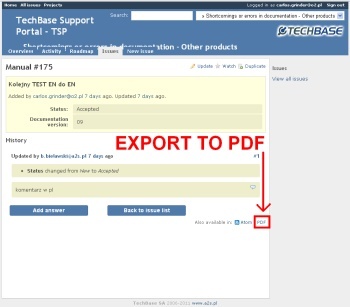 Customer may check the status of his application / notification at any time and edit them or respond by placing additional information on our website TechBase Support Portal by clicking on Check status for existing issue (Pic. 1), selecting the problem from the list and then editing them using the option Update (Pic. 3) in the upper right corner, or responding by clicking Add answer in the lower left corner (Pic. 3). After considering the application by the technical department, the issue receives the status of "reasoned" or "unreasonable", together with a commentary explaining the decision. The device on the same day goes into the logistics department and shall be returned to the client, or when replacing the new unit, is sent to new hardware. 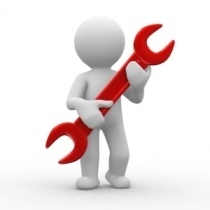 Along with the returned unit, you will find a form with reason for the status given to the issue. 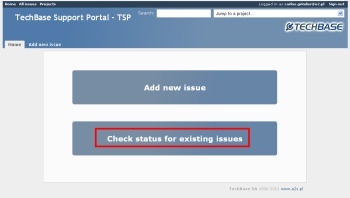 All technical problems and service requests should be reported by the TSP (Techbase Support Portal) http://support.techbase.eu.